After winning the prestigious Norwegian “JazzIntro” award in 2008, “Young Jazz Musicians of the year”, Albatrosh has had busy years. 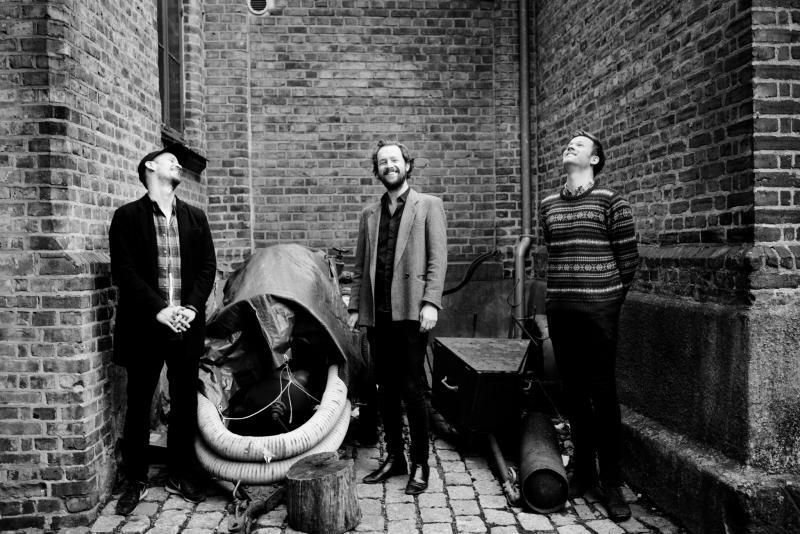 In 2009 they released their critically acclaimed debut album, “Seagull Island” (InnerEar), as the cohesive press celebrated with solid rolls of the dice, and by the big Norwegian newspaper Dagbladet described as “perhaps the most exciting release in Norwegian elite jazz in many years”. And John Kelman from All about jazz: “Roligheten and Dale manage to say much without ever resorting to excess. A fine debut from a duo with a bright future, Seagull Island doesn’t just suggest great promise; it delivers on it as well.” In 2010 they released their second album “Mystery Orchestra with Grenager & Tafjord”, featuring cellist Lene Grenager and horn player Hild Sofie Tafjord. This album received great reviews as well, and the Norwegian newspaper Dagsavisen ranked it to be the best Norwegian jazz record of 2010. At North Sea jazz 2009 they took part in the European Jazz Competition, and won the prestigious 1st prize “Best Band”. Jury chairman, Maria Schneider said: “Most original, great interplay and amazing improvisation, effective and colorful compositions paired to amazing improvisation.” This meant radio play across Europe as well as a dedicated concert at North Sea Jazz 2010. Team Hegdal is Eirik Hegdals compositional playground for small band format. Hegdal is well known for his work with the Trondheim Jazz Orchestra (especially the last record “Triad and More”, with star saxophonist Joshua Redman). In Team Hegdal each musician gets greater freedom, and the music is even more transparent. The quartet consists of Hegdal himself (Zanussi Five) and André Roligheten (Albatrosh) on saxophones / clarinets, Rune Nergaard(Bushmans Revenge) on bass, and Gard Nilssen (Puma, Mathias Eick) on drums. The band has released two albums on the Norwegian label Øra Fonogram. If you ask the names of the most prominent and sought after jazz- and improvised music drummers in Norway, you can be sure to find Gard Nilssen on that list. Anywhere you turn, he’s there, either as a sideman (Team Hegdal, Cortex, Lord Kelvin, Zanussi 5 or Susanne Sundfør) or leading and co-leading a good number of acclaimed groups (Bushman’s Revenge, Puma, sPacemoNkey or Astro Sonic), some going to the absolute frontier territories of jazz, rock and electric experimentalism. With “Firehouse”, he debuts a new trio entirely committed to unplugged music; Gard Nilssen ́s Acoustic Unity. In the frontline is an astonishing revelation of a saxophone player, André Roligheten. Whether as half of the duo Albatrosh, or in the tighter context of the Trondheim Jazz Orchestra, collaborating with the psych-rock band Motorpsycho, or in free communication with the likes of Axel Dörner, John Edwards and Paal Nilssen-Love, every player would envy his drive and capacity to instantaneously re-invent melody and rhythm while improvising. Petter Eldh, Berlin based bassplayer, known for his work with the Django Bates trio, Lillinger/Slavin/Eldh trio, Peter Evans and Tobias Delius among others, is another idiosyncratic figure, perfect for the cause; claiming references as diverse as Dr. Dre, Charlie Parker and Peter Brötzmann, he’s definitely the right choice for maintaining the backbone of these tunes and at the same time always being ready to cross the winds. Here we’ll meet musicians with spontaneity and ingenuity at the forefront. 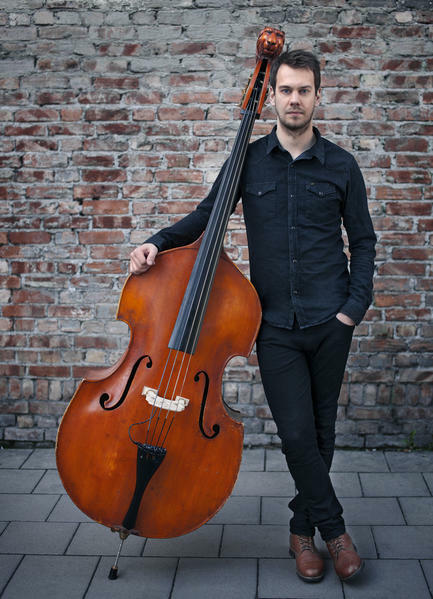 With a great understanding for tradition, they break out into their own directions with a fearless approach.Håvard Wiik (piano) has amazed Norwegian and international jazz-press in projects such as Atomic, Motif, and Kornstad/Wiik, in addition to receiving numerous awards and nominations. André Roligheten (saxophone) has, with his duo Albatrosh, released several critically acclaimed releases, and won several awards. Erik Nylander (drums) has, for several years, left his mark on bands such as Ola Kvernberg trio, Kobert, and Espen Reinertsen Organic Jukebox. BaRoLo is a trio that plays improvised music. With the line-up of tuba, clarinet and saxophone, they explore the possibilities of alternative techniques and sounds on their instruments. Their music is of a horizontal kind in the sense that they make long forms, also with focus on details, and the music happens to develop in natural courses. The result is music with lots of patients and firm directions. Dead Dino Storage is a cover band that has a pretty progressive agenda. Since the start in 1996, the band has done several tribute projects, initially to the greatest prog bands from the 70’s, like King Crimson, Yes, Gentle Giant, Rush and many more. In 1998 they enbarked on an ambisious attempt to pay homage to the late great Frank Zappa, and did so with success. Apart from concerts covering many different prog bands including Happy the Man, Genesis, UK, ELP, Mahavishnu Orchestra, Brand X and a few more, the band has played tribute shows dedicated to Gentle Giant and King Crimson in addition to the shows only consisting of Zappa material. Trondheim Jazz Orchestra is one of the most important and creative jazz ensembles in Norway. During the course of the last ten years, the orchestra has had a great number of exciting projects with norwegian and international jazz profiles such as Chick Corea, Pat Metheny, Joshua Redman, Erlend Skomsvoll and Eirik Hegdal. Trondheim Jazz Orchestra celebrated its 10th anniversary in 2010. Among the highlights of the year was the anniversary tour with Chick Corea in Norway and Sweden and the releases of the cd’s “stems and cages” by TJO & Kim Myhr and “Triads and More” by TJO & Eirik Hegdal w/ special guest Joshua Redman. In March 2011 TJO made their “European debut” when they toured Germany and Austria with Hegdal and Redman. The orchestra belongs to the Mid-Norway Centre of Jazz who initiates and organises new projects. The orchestra is operated as a musicians’ pool, so that the orchestra changes as to instrumentation and size from project to project. This gives room for great width in the repertory. The musicians that has been involved in the orchestra is among Norway’s most famous jazz profiles.